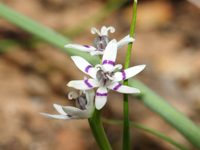 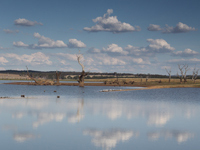 There are some interesting things happening in the landscape this autumn. 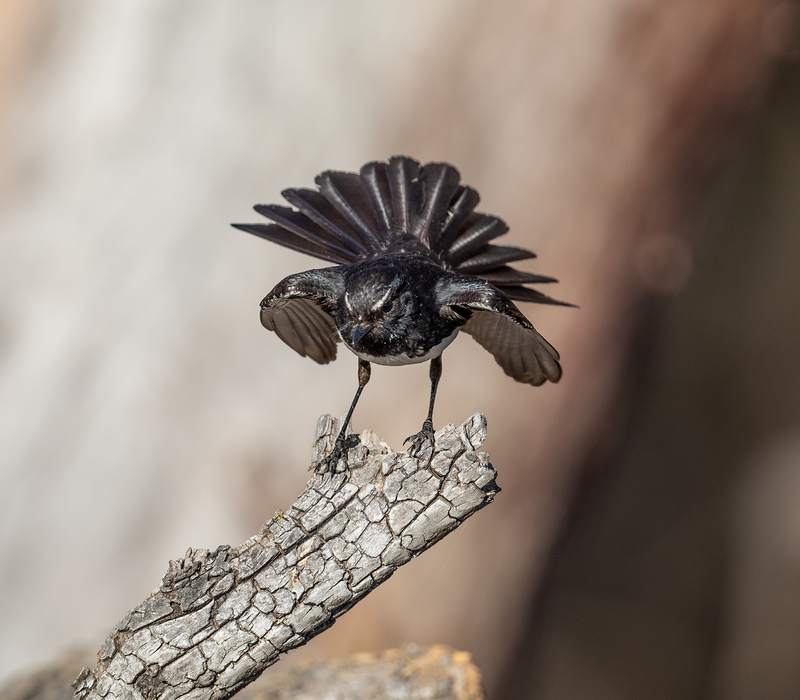 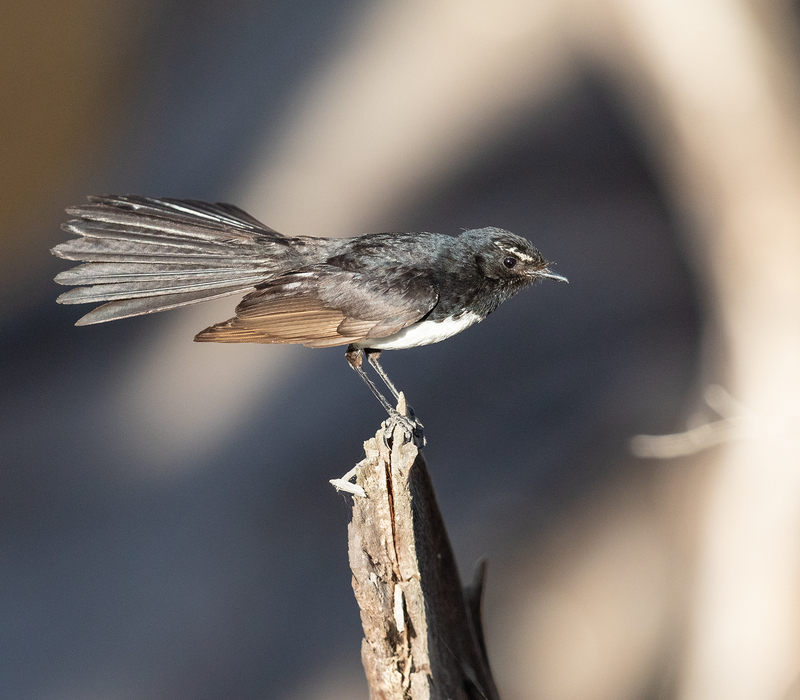 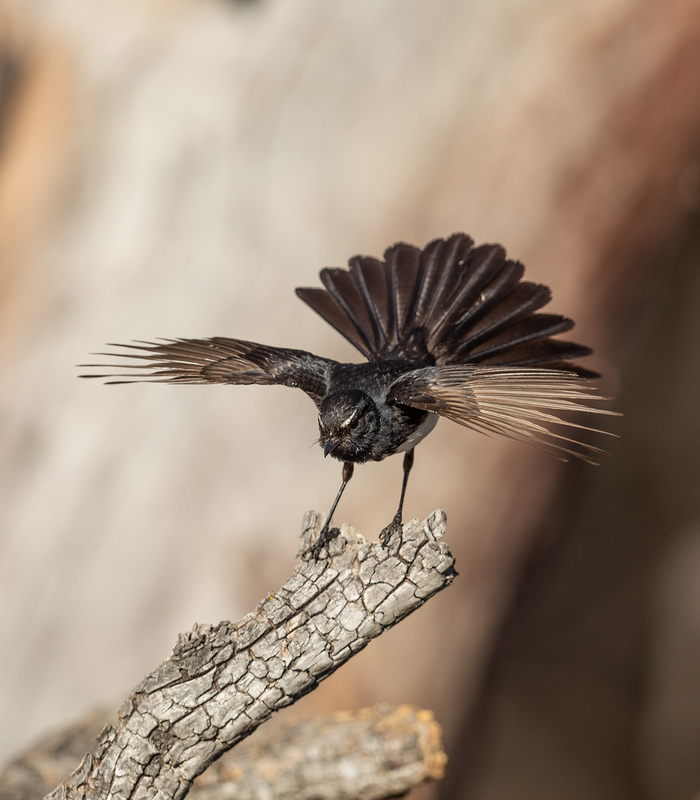 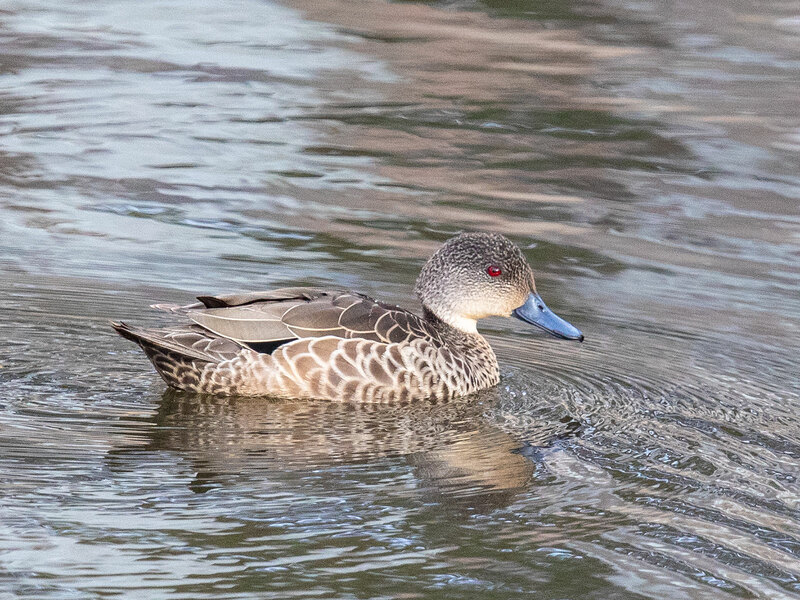 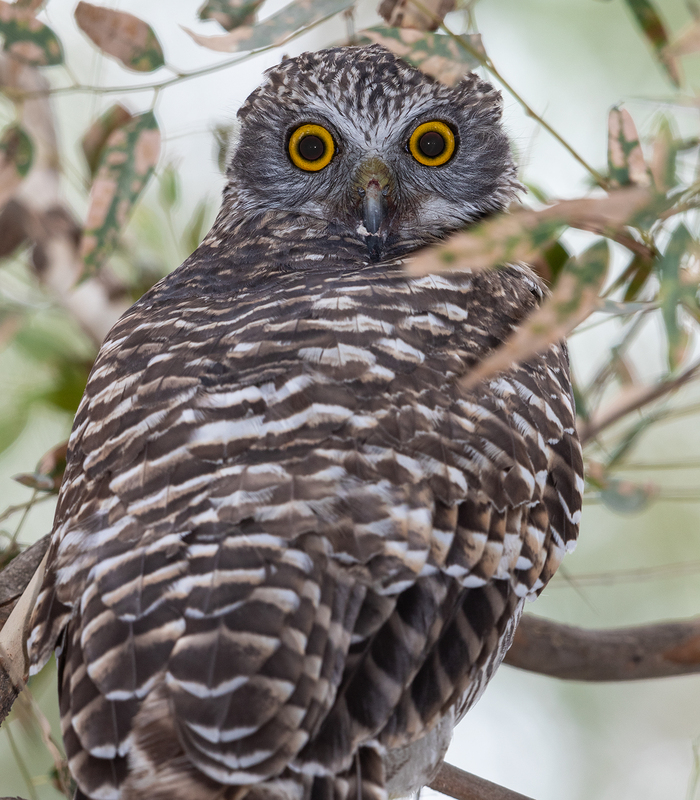 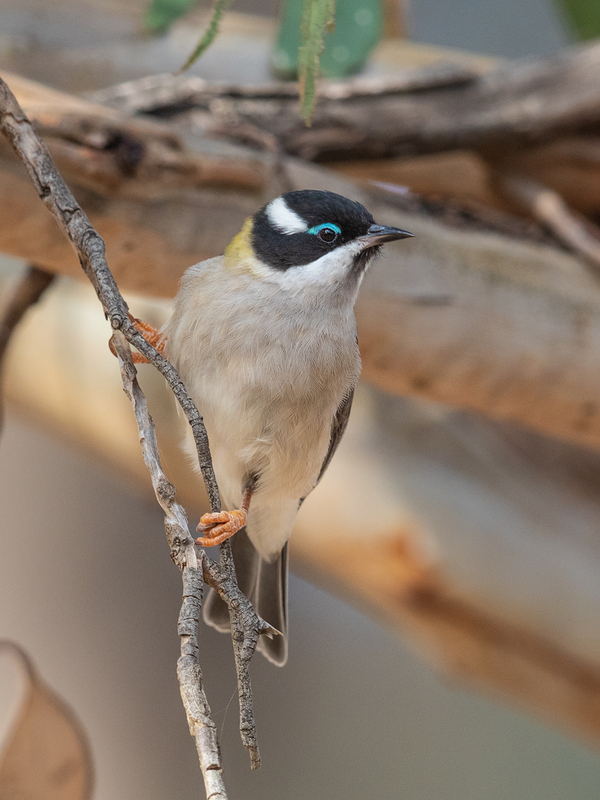 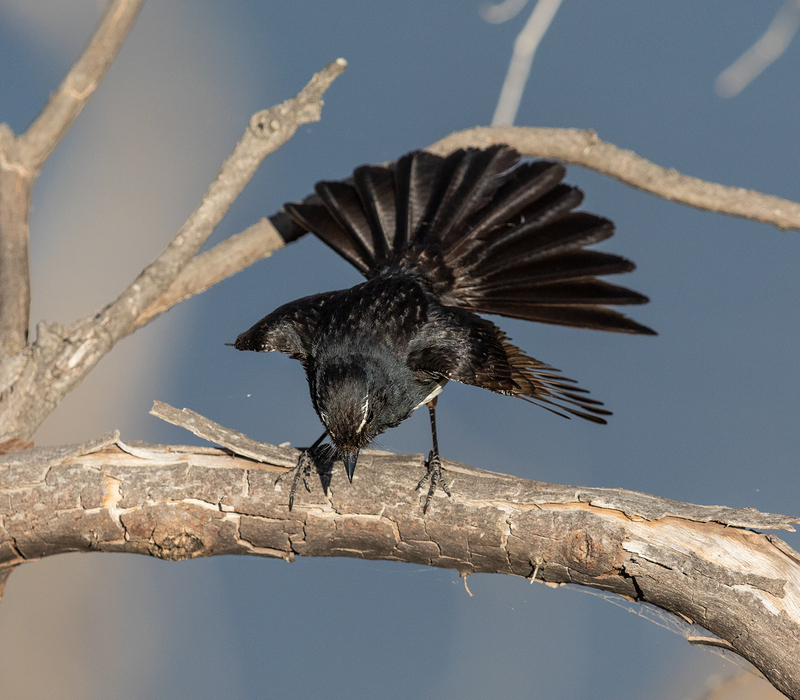 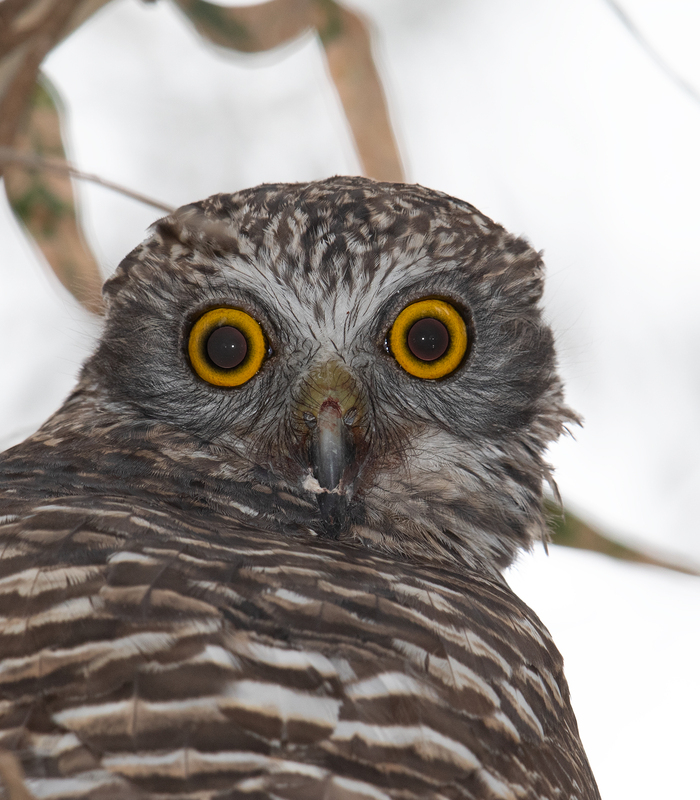 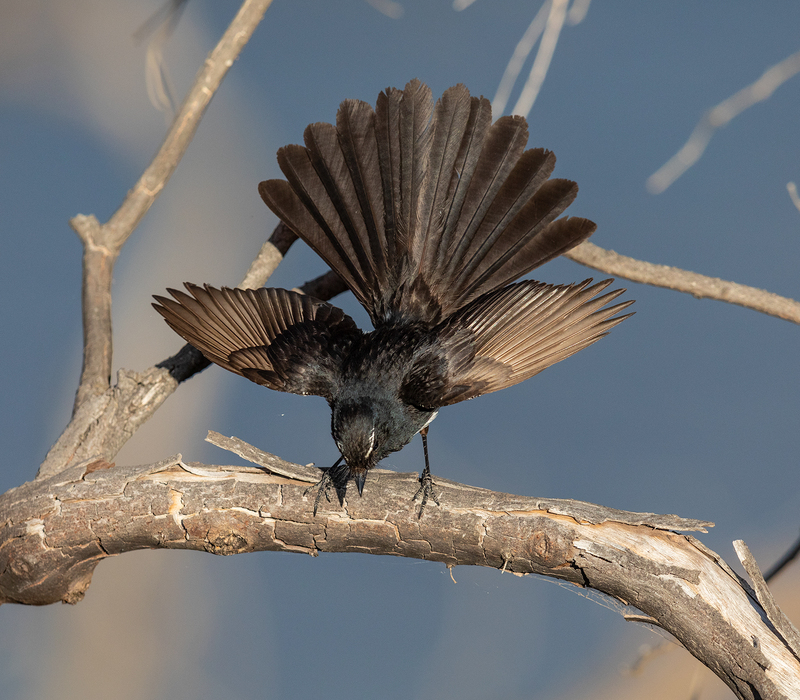 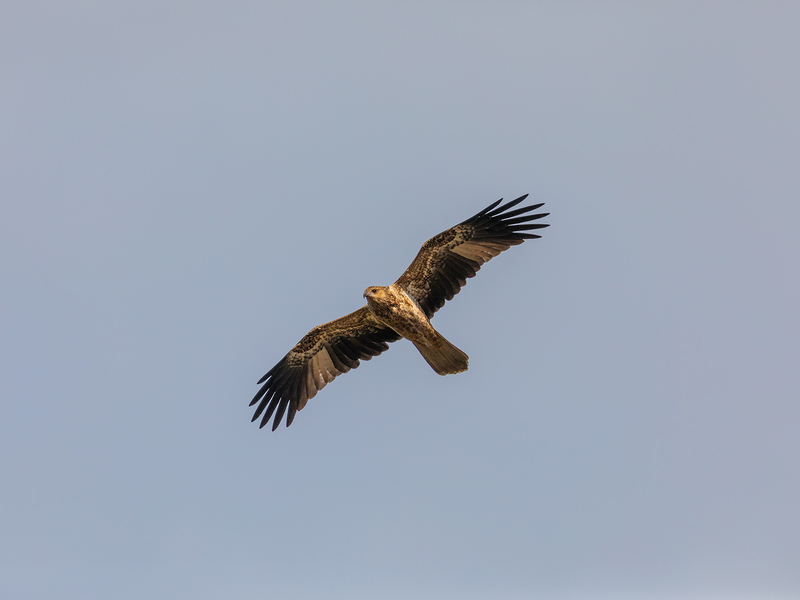 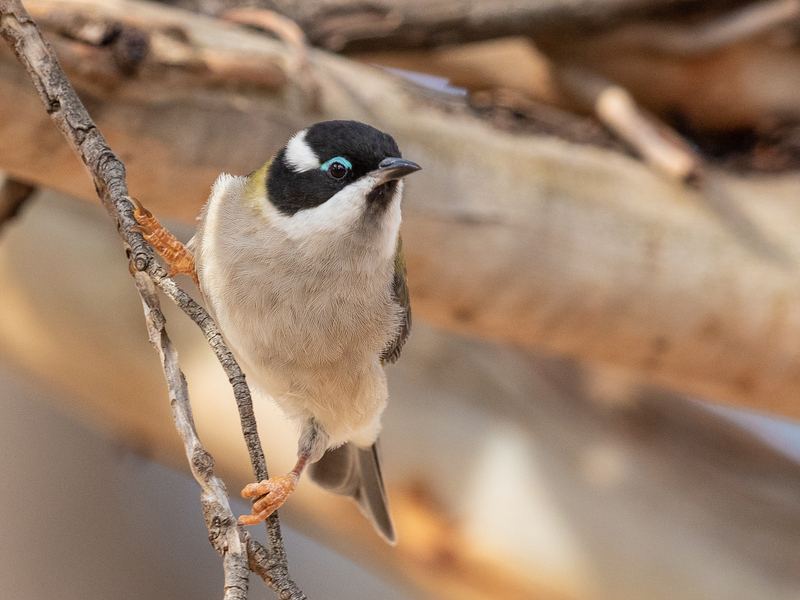 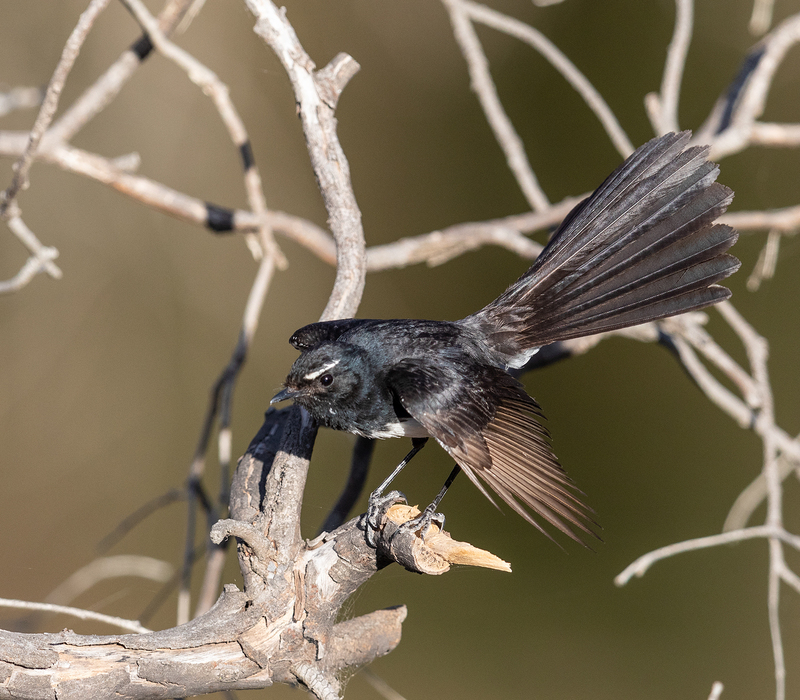 Firstly the appearance of dry country birds, such as Black Honeyeaters and Yellow-plumed Honeyeaters and worryingly the disappearance of many small insectivorous species from dry areas of our local bush. 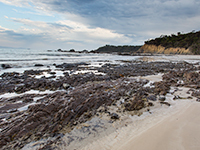 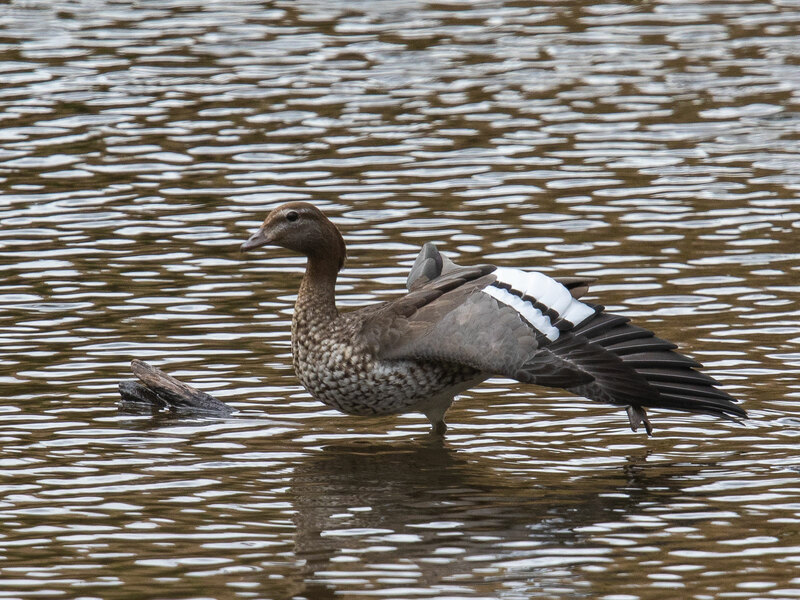 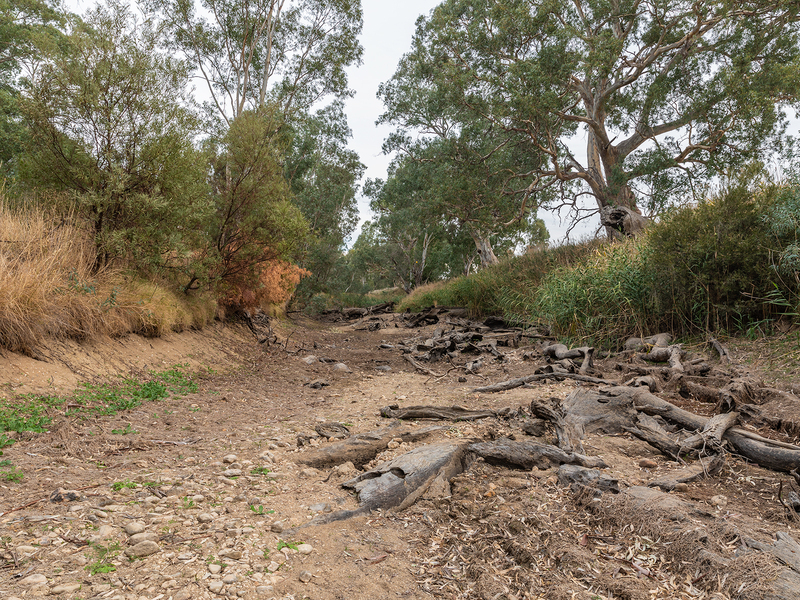 At this time, lower areas of the landscape, such as small drainage lines and the Loddon River valley itself become important refuges. 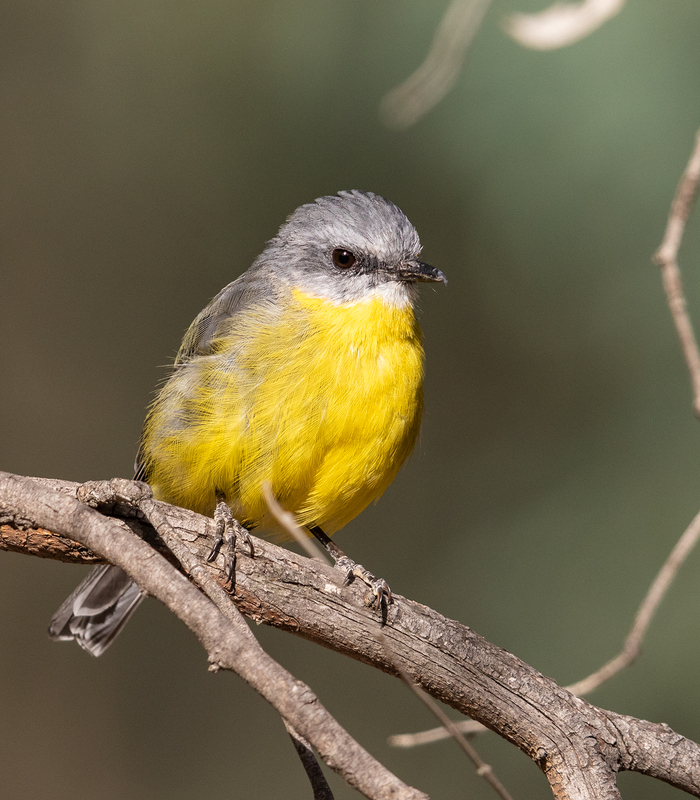 I’ve mentioned earlier this month the excellent flowering of Grey Box. 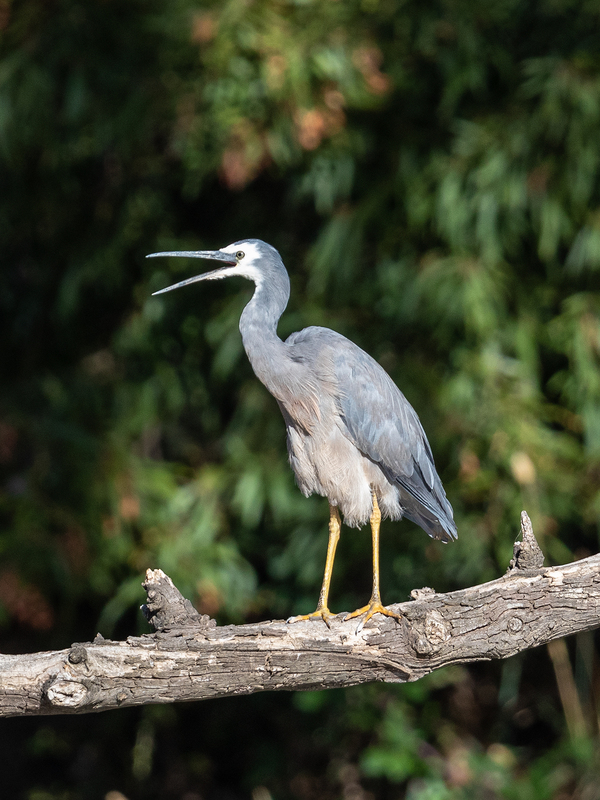 Stands of veteran Grey Box in more fertile and moister parts of the landscape become veritable oases of food for birds over autumn. 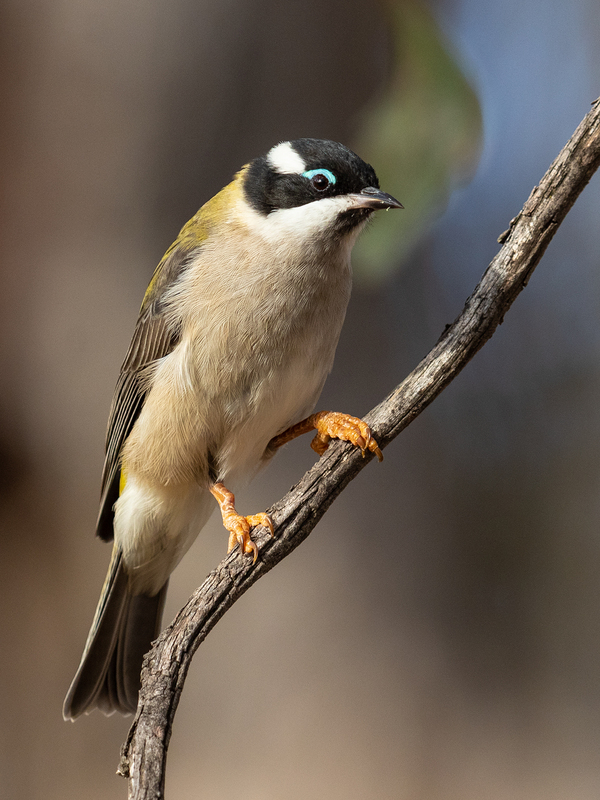 Such is the case along the Loddon River at present, where large numbers of honeyeaters, woodswallows and lorikeets are enjoying the nectar flow. 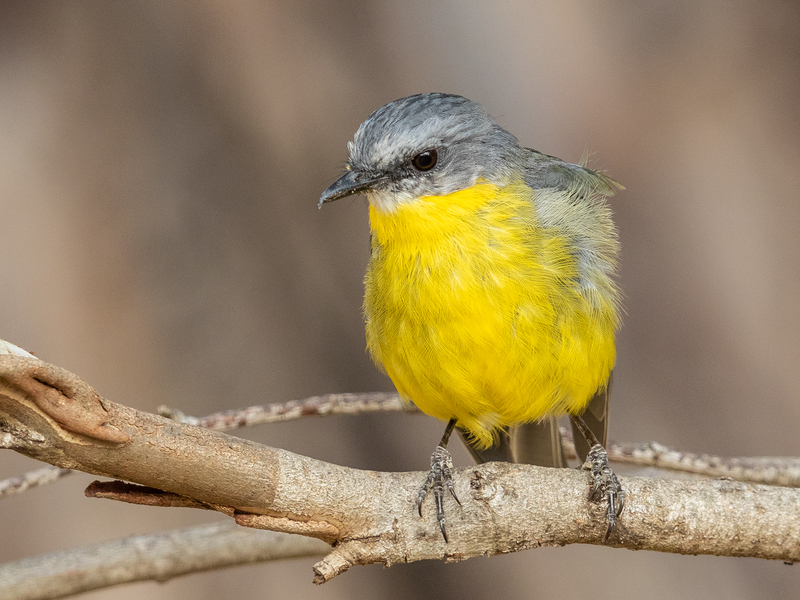 At the same time Eastern Yellow Robins, largely absent from surrounding areas, can be found along the river in reasonable numbers. 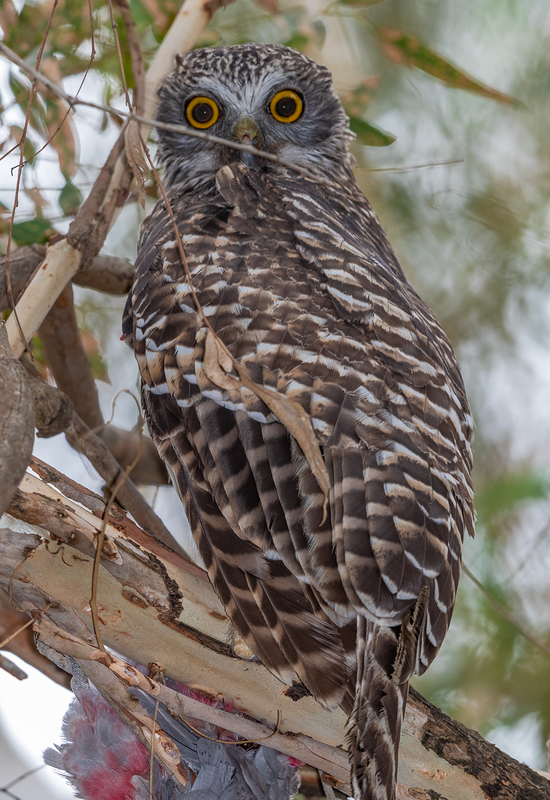 I like snakes, when they’re at a distance … not so when I step on one, as has happened only a couple of times, thankfully, over a career of wandering through the bush. 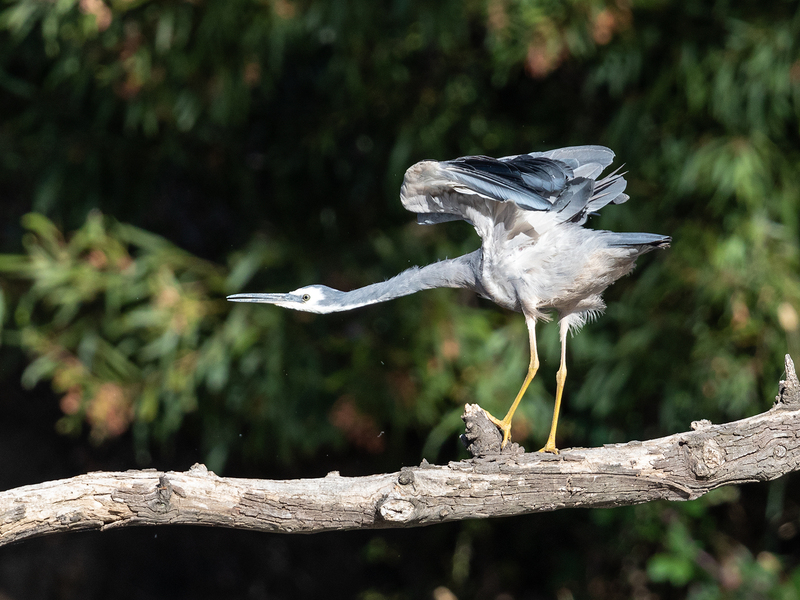 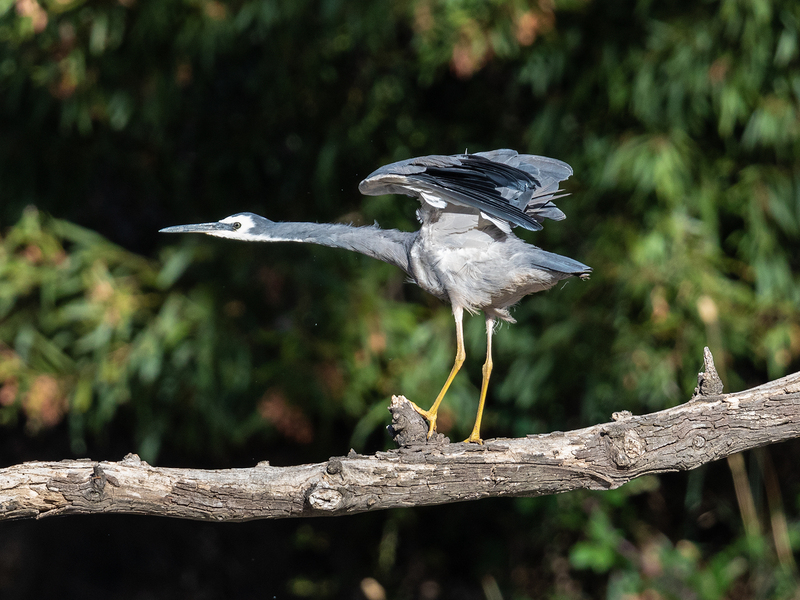 Earlier this week along the Loddon, while pursuing a graceful White-faced Heron I managed to step on an Eastern Brown Snake – fortunately the owner had recently moved on! 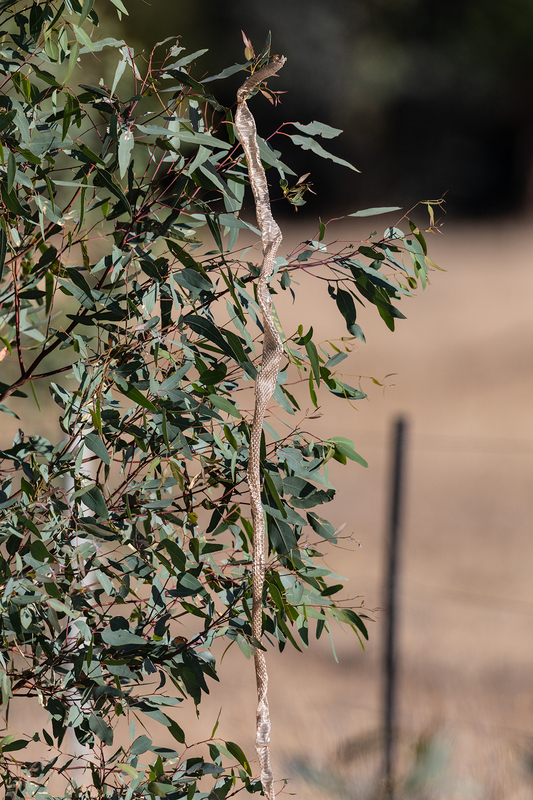 Eastern Brown Snake skin – hung for effect in a River Red-gum sapling. 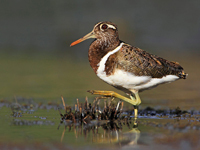 As summer commences two of our migratory species tend to fall a little silent. 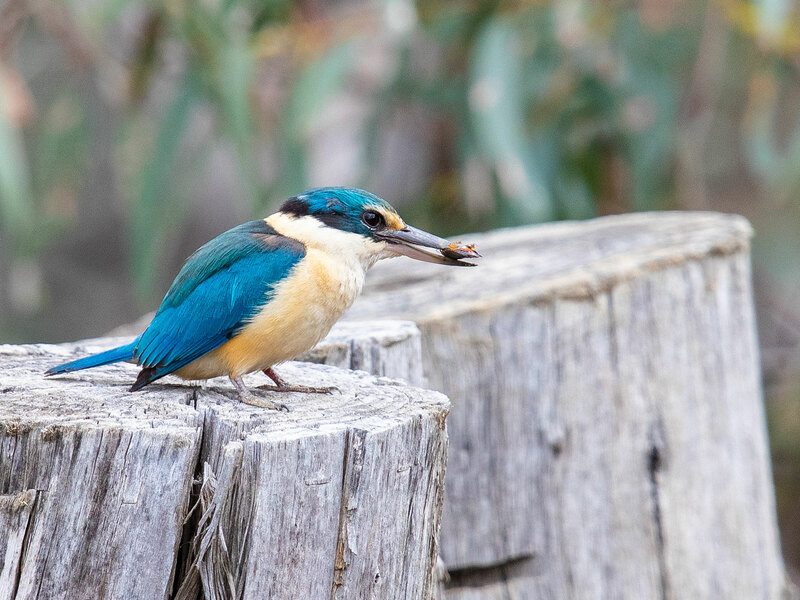 The Sacred Kingfisher and Rainbow Bee-eater are both tunnel nesting species, the former using both earthen tunnels as well as tree hollows. 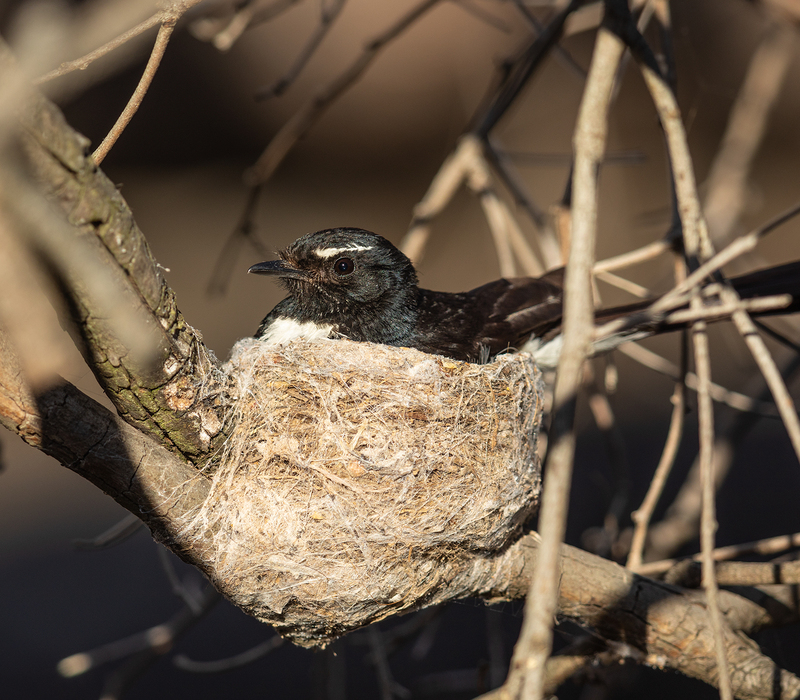 At present the birds will be incubating and they tend to be less vocal than will be the case in a few weeks when feeding young. 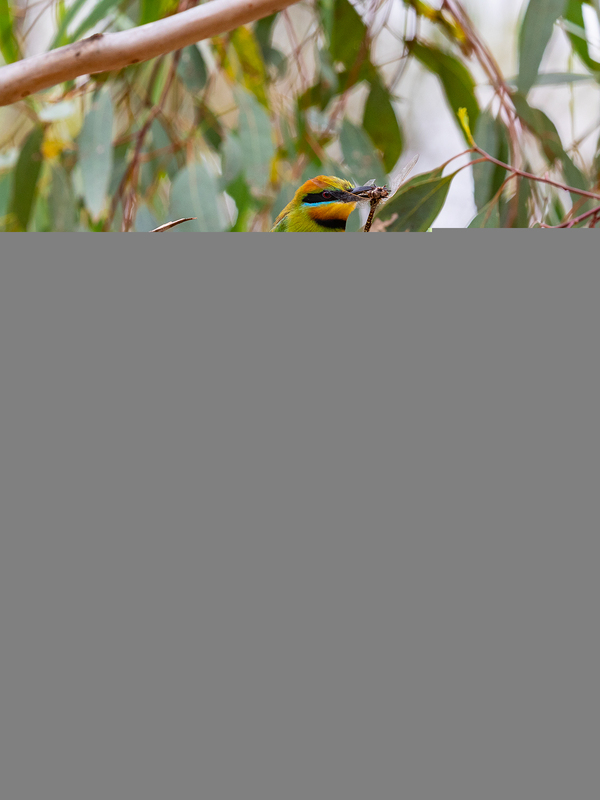 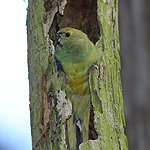 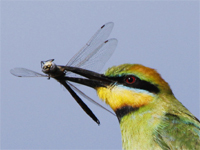 In Rainbow Bee-eaters both sexes excavate the nesting tunnel – you can see some evidence of activity on the bill of the male below. 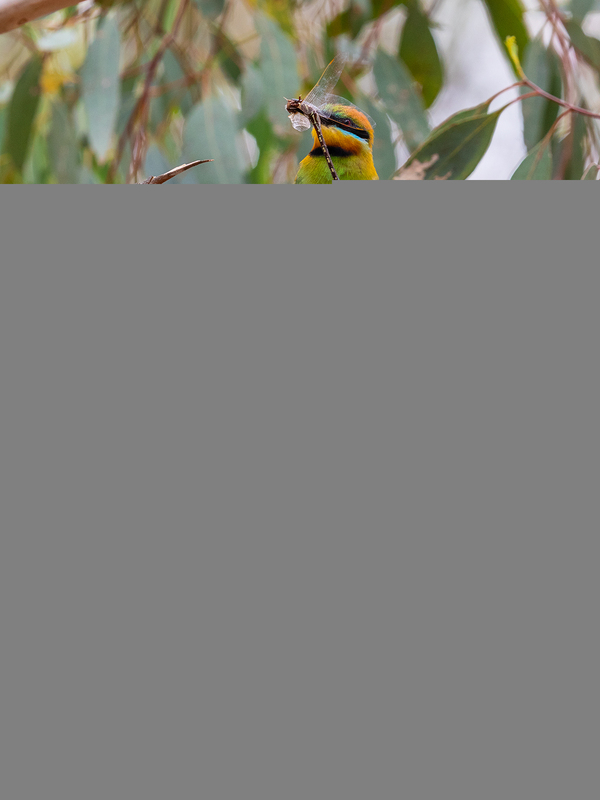 In both the Sacred Kingfisher and the Rainbow Bee-eater both sexes incubate, although my observations suggest the female bee-eaters do the majority of sitting. 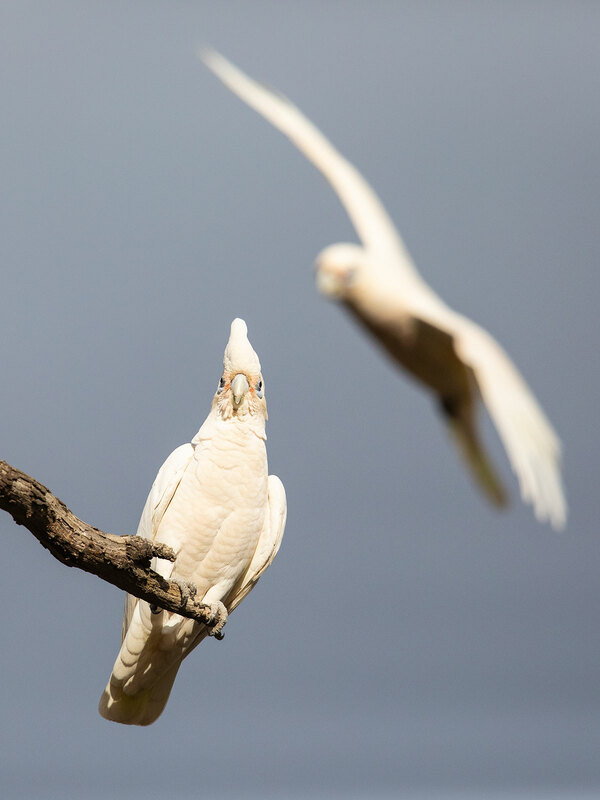 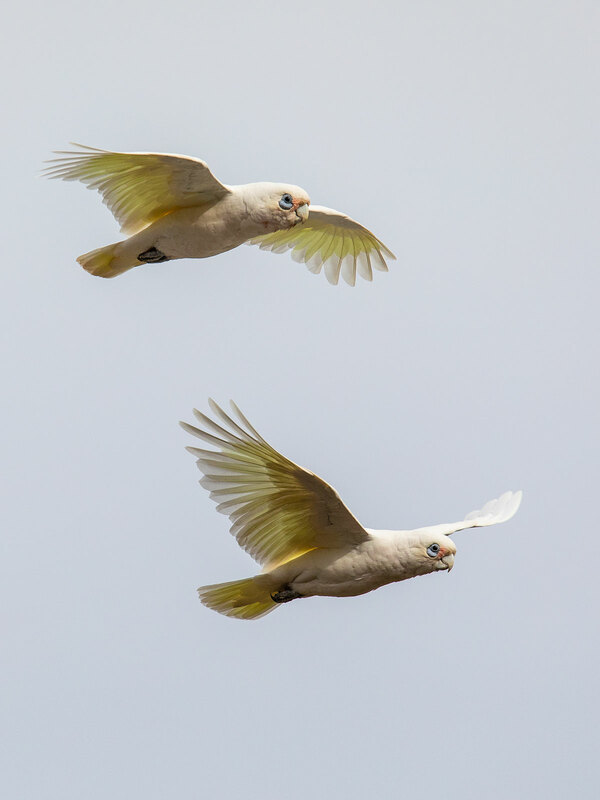 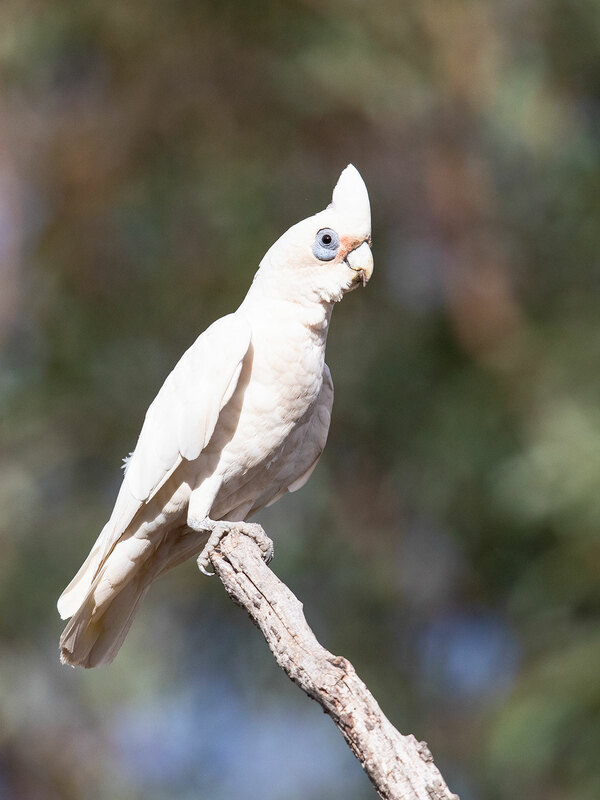 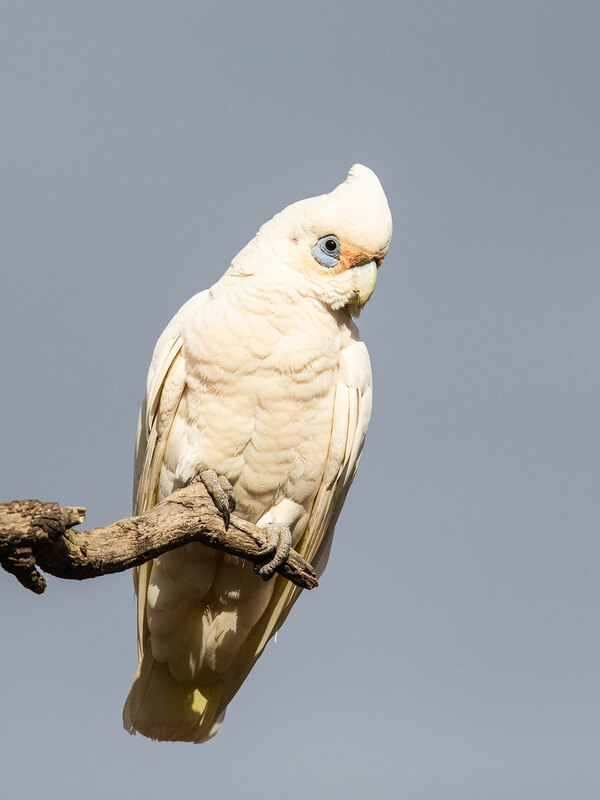 The loud, screeching calls of flocks of corellas are a feature of the natural soundscape of the summer months around Newstead. 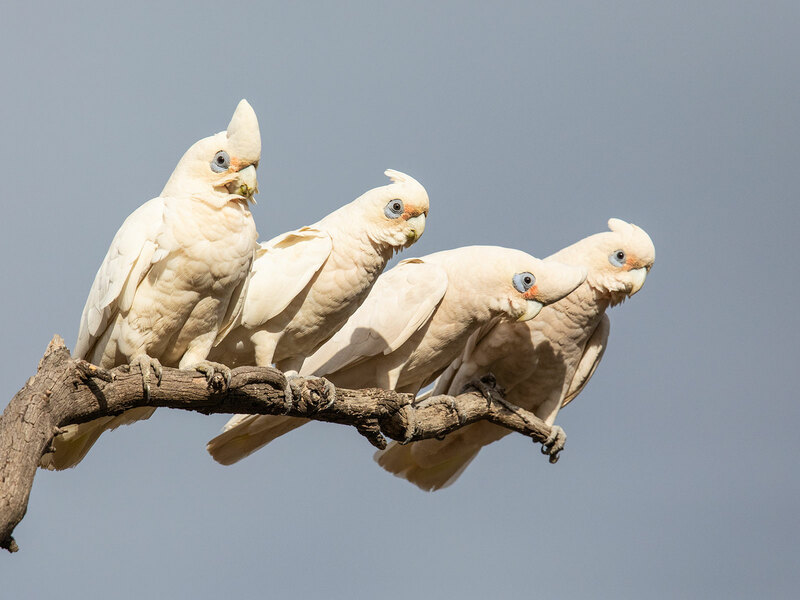 Increasingly it’s Little Corellas that are forming these flocks along with their larger relative, the Long-billed Corella. 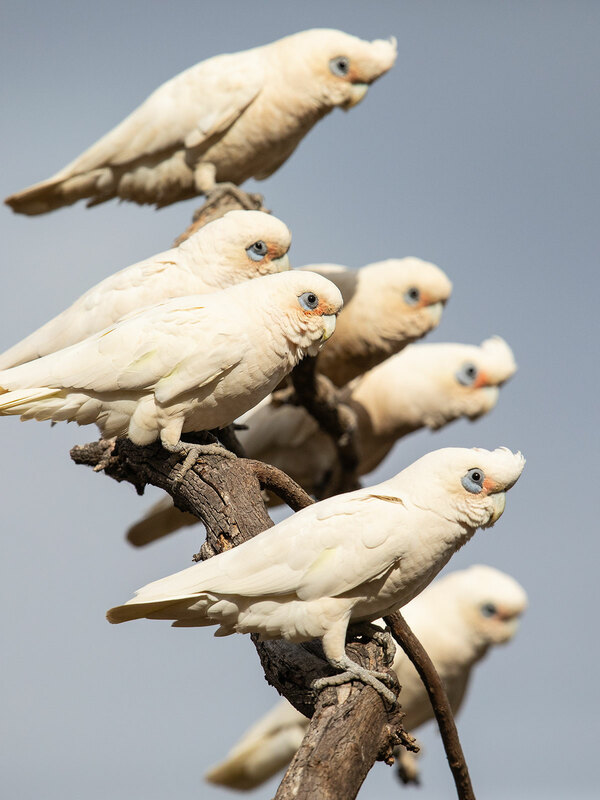 Little Corellas can be distinguished by their handsome crest and lack the extensive pink colouration around the face and neck.